After two failed attempts to order a queen for the Ansonia Nature Center's Observation Hive, with each time arriving dead. The opportunity came up when one of my hives decided to raise not 1 but 6 new queens! So I decided to split the hive for the Nature Center. 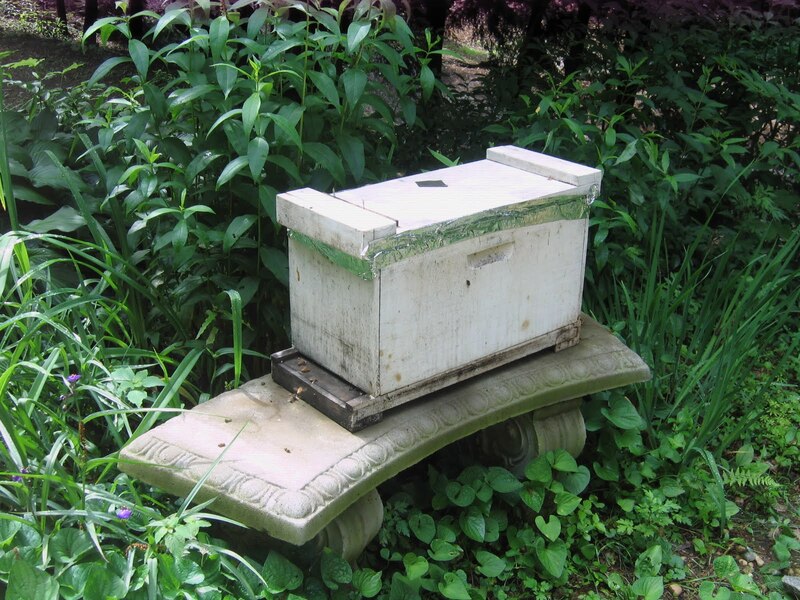 I put a frame in the nuc hive with 2 queen cells, honey, brood and some bees last week, closed it up and gave them all a few days to allow the pheromones from the previous queen to dissipate. We opened it up today and they went to checking out their environment, cleaning out those who had died and went about checking out the garden bench which will be their home for the next few weeks. 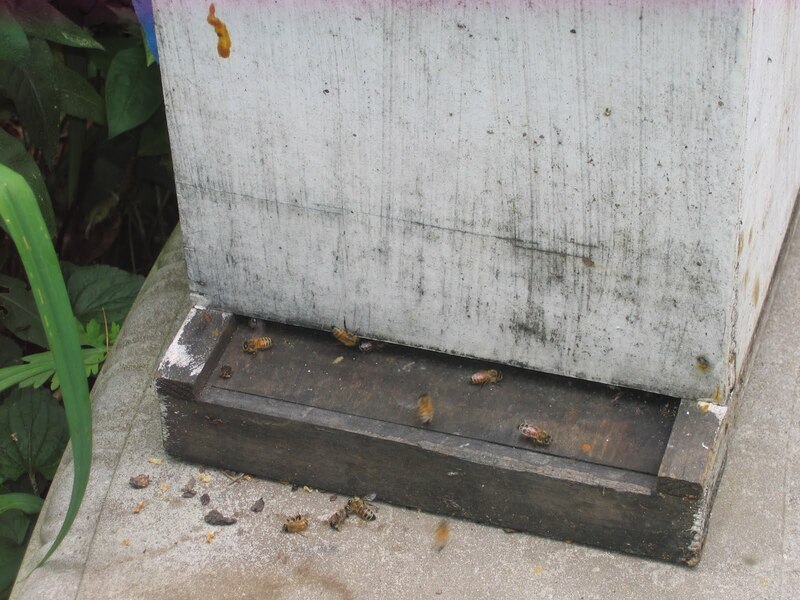 The poor UPS man or anyone coming up the walkway for eggs will sure get a start when they see the hive, but the bees won't harm anyone I am sure! I will check back in a few weeks to see if one of them has hatched and then she will need to leave for breeding, only then will she be ready for the hive which should be just in time for insect summer camp! 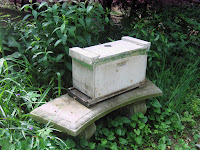 Which bees are sacrificed in the fall? Good luck and thanks for checking out our blog!